Complete with a cape and a mask this monkey can travel. With his strong elastic arms it can be shot very far distances. Put two fingers in the hand pockets pull back and let go. As an added bonus every time you shoot him he let's out a loud monkey call.Great for outside or indoors. 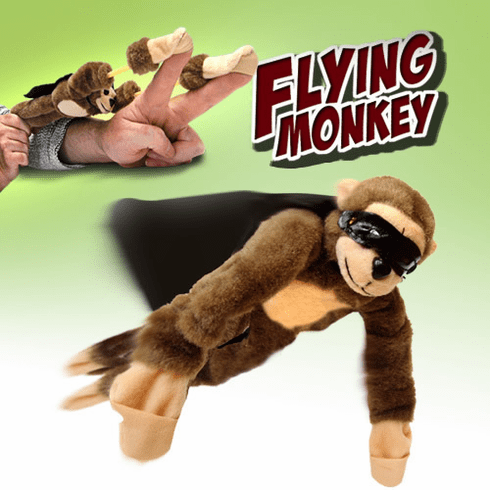 Imagine someone sitting in their office and getting startled by a flying screaming monkey. It's sure to get everyone's attention.